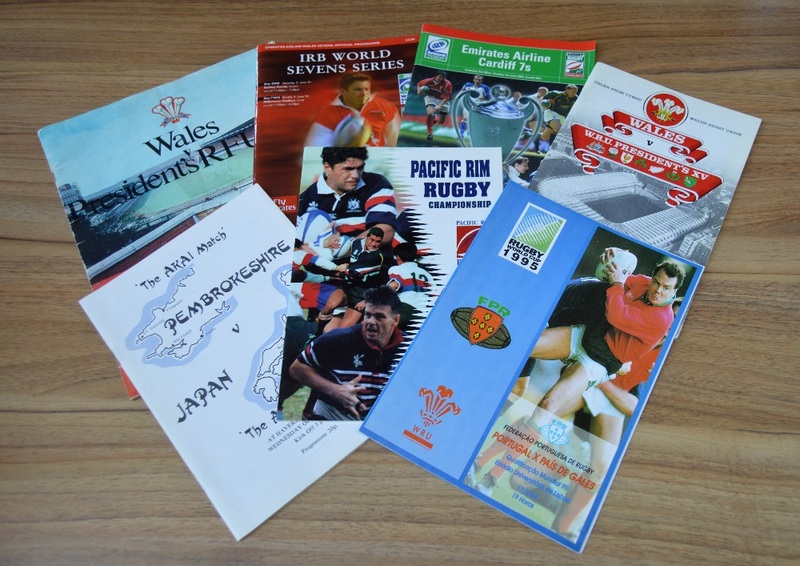 Less-Common Rugby Programme Package (7): Pacific Rim Championship, Hong Kong v Canada (Rod Snow), 1996; Pembrokeshire v Japan 1983, (H'west); Portugal v Wales, RWC Qualifier, 1994; Wales v RFU President's XV 1970 (New Stand) & v WRU President's XV 1984 (New Stadium); IRB Sevens (Newport & Cardiff) 2001 and Cardiff 2003. VG. NB: Donated by Peter Owens to be auctioned for the benefit of the WRU Charitable Trust.